A few weeks ago I blogged about Health and Human Services (HHS) possibly being held in contempt of court for violating an Order handed down on Dec. 5, 2016, by U.S. District Judge James Boasberg. See blog. The District Court Judge granted a motion for summary judgment in favor of the American Hospital Association in AHA v. Burwell. He ordered HHS to incrementally reduce the backlog of 657,955 appeals pending before the agency’s Office of Medicare Hearings and Appeals over the next four years, reducing the backlog by 30% by the end of 2017; 60% by the end of 2018; 90% by the end of 2019; and to completely eliminate the backlog by Dec. 31, 2020. This was a huge win for AHA – and Medicare providers across the country. 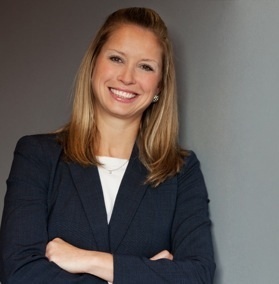 Currently, when a provider appeals an adverse decision regarding Medicare, it costs an inordinate amount of attorneys’ fees, and the provider will not receive legal relief for upwards of 6 – 10 years, which can cause financial hardship, especially if the adverse action is in place during the appeal process. Yet the administrative appeal process was designed (poorly) to conclude within 1 year. With the first deadline (the end of 2017) fast approaching and HHS publicly announcing that the reduction of 30% by the end of 2017 is impossible, questions were posed – how could the District Court hold HHS, a federal agency, in contempt? On August 11, 2017, the U.S. Appeals Court for the District of Columbia overturned the District Court; thereby lifting the requirement to reduce the Medicare appeal backlog. The Appeals Court determined that the District Court commanded the Secretary to perform an act – clear the backlog by certain deadlines – without evaluating whether performance was possible. The Medicare backlog skyrocketed in 2011 due to the federally-required Medicare Recovery Audit Program (RAC). With the implementation of the RAC program, the number of appeals filed ballooned from 59,600 in fiscal year 2011 to more than 384,000 in fiscal year 2013. These appeals bottlenecked to the third level of appeal, which is before an administrative law judge (ALJ). As of June 2, 2017, there was a backlog of 607,402 appeals awaiting review at this level. On its current course, the backlog is projected to grow to 950,520 by the end of fiscal year 2021. There is a way for a provider to “skip” the ALJ level and “escalate” the claim, but it comes at a cost. Several procedural rights must be forfeited. It is important to note that the appellate decision does not state that the District Court does not have the authority to Order HHS to eliminate the appeals backlog. It only holds that, because HHS claims that compliance is impossible, the District Court must rule on whether compliance is possible before mandating the compliance. In other words, the Appeals Court wants the lower court to make a fact-finding decision as to whether HHS is able to eliminate the backlog before ordering it to do so. The Appeals Court is instructing the lower court to put the horse in front of the cart. The Appeals Court explicitly states that it is suspect that the Secretary of HHS has done all things possible to decrease the backlog. (“We also share the District Court’s skepticism of the Secretary’s assertion that he has done all he can to reduce RAC-related appeals.”) So do not take the Appeals Court’s reversal as a sign that HHS will win the war. I only hope that AHA presents every possible legal argument once the case is remanded to District Court. It is imperative that AHA’s attorneys think of every possible legal misstep in this remand in order to win. Not winning could potentially create bad law, basically, asserting that the Secretary has no duty to fix this appeals backlog. Obviously, the Secretary is exactly the person who should fix the backlog in his own agency. To hold otherwise, would thwart the very reason we have a Secretary of HHS. Through its rhetoric, the Appeals Court made it clear that it, too, has severe reservations about HHS’ claim of impossibility. However, without question, AHA’s suggestion to the District Court that a timeframe be implemented to reduce the backlog is not the answer. AHA needs to brainstorm and come up with several detailed proposals. For example, does the court need to include a requirement that the Secretary devote funds to hire additional ALJs? Or mandate that the ALJs work a half day on Saturday? Or order that the appeal process be revised to make the process more efficient? Clearly, the mere demand that HHS eliminate the backlog within a certain timeframe was too vague. From here, the case will be remanded back to the District Court with instructions to the Judge to determine whether the elimination of the Medicare appeal backlog is possible. So, for now, HHS is safe from being held in contempt. But the Secretary should take heed from the original ruling and begin taking steps in fixing this mess. It is highly likely that HHS will be facing similar deadlines again – once the District Court determines it is possible. Federal Court Orders HHS to Eliminate Medicare Appeal Backlog! When you have a Medicare appeal, it is not uncommon for the appeal process to last years and years – up to 3-6 years in some cases. There has been a backlog of approximately 800,000+ Medicare appeals (almost 1 million), which, with no change, would take 11 years to vet. A Federal Court Judge says – that is not good enough! A Medicare appeal has 5 steps. See blog. The backlog is at the Administrative Law Judge (ALJ) level – or, Level 3. This backlog is largely attributable to the Medicare Recovery Audit Contractor (RAC) programs. In 2010, the federal government implemented the RAC program to recoup allegedly improper Medicare reimbursement payments. The RAC program (for both Medicare and Medicaid) has been criticized for being overly broad and burdensome and “nit picking,” insignificant paperwork errors. See blog. While the RAC program has recovered a substantial sum of alleged overpayments, concurrently, it has cost health care providers an infinite amount of money to defend the allegations and has left Health and Human Services (HHS) with little funds to adjudicate the number of Medicare appeals, which increase every year. The number of Medicare appeals filed in fiscal year 2011 was 59,600. In fiscal year 2013, that number boomed to more than 384,000. Today, close to 1 million Medicare appeals stand in wait. The statutory adjudication deadline for appeals at the ALJ level is 90 days, yet the average Medicare appeal can last over 546 days. The American Hospital Association (AHA) said – enough is enough! AHA sued HHS’ Secretary Sylvia Burwell in 2014, but the case was dismissed. AHA appealed the District Court’s Decision to the Court of Appeals, which reversed the dismissal and gave the District Court guidance on how the backlog could be remedied. Finally, last week, on December 5, 2016, the District Court published its Opinion and set forth the above referenced mandated dates for eliminating the Medicare appeal backlog. This is a win for all health care providers that accept Medicare. I love being right – just ask my husband. I have argued for years that government auditors cannot go back over three years when conducting a Medicaid/Care audit of a health care provider’s records, unless there are credible allegations of fraud. See blog. Medicaid RAC is defined as “Medicaid RAC program means a recovery audit contractor program administered by a State to identify overpayments and underpayments and recoup overpayments.” 42 CFR 455. 504. From the definition of a Medicaid RAC (Medicare RAC is similarly defined), albeit vague, entities hired by the state to identify over and underpayments are RACs. And RACs are prohibited from auditing claims that are older than 3 years from the date of the claim. In one of our recent cases, our client, Edmond Dantes, received a Tentative Notice of Overpayment from Public Consulting Group (PCG) on May 13, 2015. In a Motion for Summary Judgment, we argued that PCG was disallowed to review claims prior to May 13, 2012. Of the 8 claims reviewed, 7 claims were older than May 13, 2012 – one even went back to 2009! Accordingly, the ALJ threw out 7 of the 8 claims for violating the statute of limitation. With one claim left, the amount in controversy was nominal. Generally, an ALJ decision is not binding on other ALJs. The decisions are persuasive. Had DHHS appealed the decision and the decision was upheld by Superior Court, then the case would have been precedent; it would have been law. Regardless, this is a fantastic ruling , which only bolsters my argument that Medicaid/care auditors cannot review claims over 3 years old from the date of the claim. So when you receive a Tentative Notice of Overpayment, after contacting an attorney, look at the reviewed claims. Are those reviewed claims over 3 years old? If so, you too may win on summary judgment. Santa Claus, whom I love, brought our 10-year-old daughter a zip line for Christmas. (She’s wanted one forever). My wonderful, exceedingly brilliant husband Scott miscalculated the amount of brakes needed for an adult of my weight for a 300-foot zip line. The brakes stopped, albeit suddenly, but adequately, for our 10-year-old. However, for me…well…I went a bit faster than my 45-pound daughter. The two spring brakes were not adequate to stop my zip line experience and my out-thrown feet broke my crash…into the tree. (It was a miscalculation of basic physics). On the bright side, apparently, my right leg is longer than my left, so only my right foot was injured. Or my right foot is overly dominate than my left, which could also be the case. Also, on the bright side, the zip line ride was AWESOME until the end. On the down side, I tore the tendon on the bottom of my foot which, according to the ER doctor, is very difficult to tear. Embarrassingly, I had to undergo a psych evaluation because my ER doctor said that the only time he had seen someone tear that bottom tendon on their foot was by jumping off a building. So I have that going for me. I informed him that one could tear such tendon by going on zip line with inadequate brakes. (I passed the psych evaluation, BTW). Then, while on crutches, I had a 5-day, federal trial in Fort Wayne, Indiana, the week of Martin Luther King, Jr., Tuesday through the next Monday. Thankfully, the judge did not make me stand to conduct direct and cross examinations. 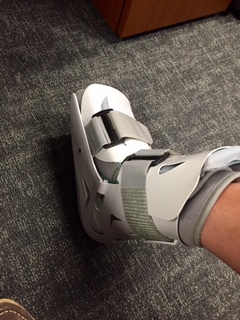 But, up there, in the beautiful State of Indiana, I thought of my next blog (and lamented that I had not blogged in so long…still on crutches; I had not graduated to the gorgeous boot you saw in the picture above). As I was up in Indiana, I thought, what if someone at the State Medicaid agency doesn’t like you, personally, and terminates your Medicaid contract “without cause?” Or refuses to contract with you? Or refuses to renew your contract? Many jurisdictions have opined that a Medicaid provider has a property right to their Medicaid contract. A health care provider does not have a property right to a Medicaid contract, but, once the state has approved that provider as a Medicaid provider, that provider has a reasonable expectation to continue to provide services to the Medicaid population. While we all know that providing services to the Medicaid population is not going to make you Richy Rich, in some jurisdictions, accepting Medicaid is necessary to stay solvent (despite the awful reimbursement rates). Here in NC, our Administrative Law Judges (ALJs) have held a property right in maintaining a Medicaid contract once issued and relied upon, which, BTW, is the correct determination, in my opinion. Other jurisdictions concur with our NC ALJs, including the 7th Circuit. Many times, when a provider is terminated (or not re-credentialed) “without cause,” there is an underlying and hidden cause, which makes a difference on the appeal of such purported “without cause” termination. Because as I stated above, a “without cause” termination may not allow a substantive appeal, only procedural. In normal-day-speak, for a “without cause,” you cannot argue that the termination or refusal to credential isn’t “fair” or is based on an incorrect assumption that there is a quality of care concern that really does not exist. You can only argue that the agency did not provide the proper procedure, i.e., you didn’t get 60 days notice. Juxtapose, a “for cause” termination, you can argue that the basis for which the termination relies is incorrect, i.e., you are accusing me that my staff member is not credentialed, but you are wrong; she/he is actually credentialed. For both scenarios, you need an injunction. But how do you prove your case for an injunction? Proving you need an injunction entails you proving to a judge that: (a) likelihood of success on the merits; (b) irreparable harm; (c) balance of equities; and (d) impact on the community. The hardest prongs to meet are the first two. Usually, in my experience, irreparable harm is the hardest prong to meet. Most clients, if they are willing to hire my team and me, can prove likelihood of success. Think about it, if a client knows he/she has horrible documentation, he/she will not spring for an expensive attorney to defend themselves against a termination. Irreparable harm, however, is difficult to demonstrate and the circumstances surrounding proving irreparable harm creates quite a quandary. Irreparable, according to case law, cannot only be monetary damages. If you are just out of money and your company is in financial distress, it will not equate to irreparable harm. Irreparable harm differs slightly from state to state. Although, most jurisdictions agree that irreparable harm does equate to an imminent threat of your business closing, terminating staff, loss of goodwill, harm to reputation, patients not receiving medically necessary services, unfathamable emotional distress, the weights of loans and credit, understanding that you’ve depleting all savings and checkings, and understanding that you’ve exhausted all possible assets or loans. The Catch-22 of it all is by the time you meet the prongs of irreparable harm, generally, you do not have the cash to hire an attorney. I suggest to all Medicare and Medicaid health care providers that you need to maintain an emergency fund account for unforeseen situations, such as audits, suspensions, terminations, etc. Put aside money every week, as much as you can. Hope that you never need to use it. But you will be covered, just in case. But how to handle said mistakes in health care records after the fact, which could be the target in a Medicare/caid audit? This is a very important, yet extremely “fine-lined” topic. Imagine a tightrope walker. If you fall off one way, you fall to the abyss of accusations of fraud. You fall off the other way and you fall into the ocean of the False Claims Act. Fixing document errors post date of service (DOS) is a fine line with catastrophic consequences on both sides. In NC, our administrative code provides guidance. (a) The agency shall develop and implement written policies governing content and handling of client records. (b) The agency shall maintain a client record for each client. Each page of the client record shall have the client’s name. All entries in the record shall reflect the actual date of entry. When agency staff make additional, late, or out of sequence entries into the client record, the documentation shall include the following applicable notations: addendum, late entry, or entry out of sequence, and the date of the entry. A system for maintaining originals and copies shall be described in the agency policies and procedures. (c) The agency shall assure that originals of client records are kept confidential and secure on the licensed premises unless in accordance with Rule .0905 of this Subchapter, or subpoenaed by a court of legal jurisdiction, or to conduct an evaluation as required in Rule .1004 of this Subchapter. (d) If a record is removed to conduct an evaluation, the record shall be returned to the agency premises within five working days. The agency shall maintain a sign out log that includes to whom the record was released, client’s name and date removed. Only authorized staff or other persons authorized by law may remove the record for these purposes. (e) A copy of the client record for each client must be readily available to the appropriate health professional(s) providing services or managing the delivery of such services. 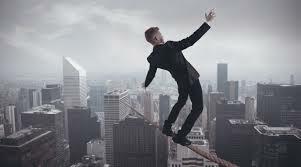 When it comes to alteration of medical records for Medicare/caid patients after the DOS, you are walking on a tightrope. Catastrophe is below, not a net. So tiptoe carefully. Call an attorney with specific questions.